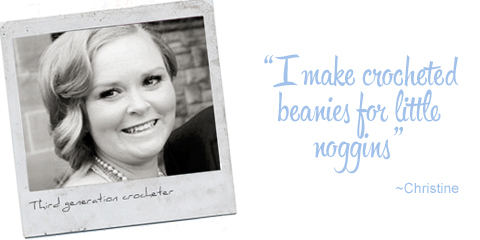 Hi, I'm Christine and I make crocheted beanies for little noggins. 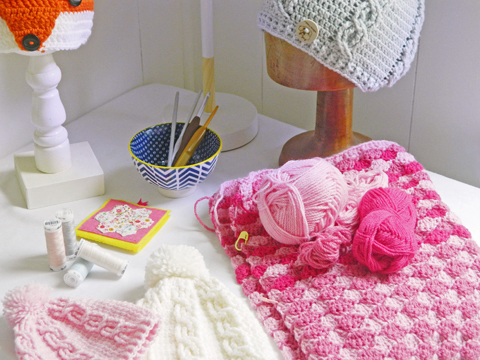 I've been selling my crochet wares on Made It since 2009. 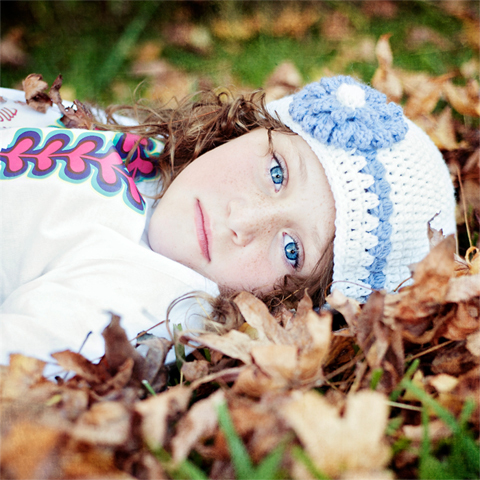 In that time I've made a lot of beanies using 100% pure new Australian Merino wool. I live on the stunning South Coast of NSW, near the shores of St Georges Basin. I live here with my Engineer husband, 3 cheeky children, 1 loveable Burmese cat and 2 foster chickens. I was taught to crochet by my mum, who was in turn taught by her mother and her mother before that. I remember sitting with my mum and her showing me the basics of crochet around 6 years old. Since then I've taught myself through reading patterns, research, books, the odd online course and my collection of vintage patterns and found objects. 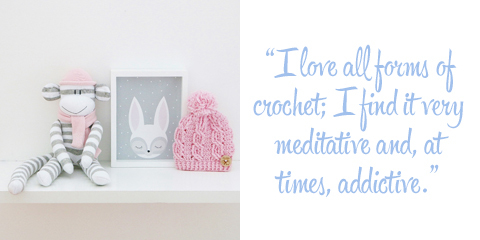 I love all forms of crochet; I find it very meditative and, at times, addictive. As a mum of a special needs child, I find crochet a great form of stress relief and I enjoy creating beautiful objects for others to enjoy. I've always called C Percy Designs my hobby that pays. During the week I run a community centre, which focuses on young families. 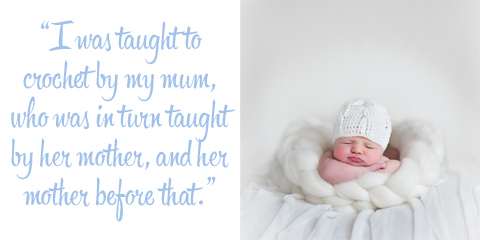 It's a fantastic job that combines my love of children, my flare for organisation and my creative side. I make fabulous play dough and I have a kid's song for all occasions. I usually create my beanies at night when my own children are in bed. Most of my work is created in my lounge room in front of the TV. I love a good period drama or foreign film, and I do love having a sticky beak at the odd home improvement show. Usually, when I'm creating I have my work spread out with all my supplies scattered around. One of the great things about crochet is that it is very mobile; you will see me at the kids swimming lesson with my crochet in hand or at the footy field while my daughter is at Auskick. I crochet all year round but I'm mostly active during the winter months. During the summer I spend my time working on patterns, exploring trends and learning new techniques. Early on I spent a lot of time working on beanie sizes. Now that I have standardised sizes I find that I've been exploring different stitches. Last summer I spent a lot of time working on cables, which resulted in my updated cable beanie with pompom, which has been popular this winter. I'm especially influenced by the traditions of crochet. I adore Irish crocheted lace work and I'm really looking forward to going to Ireland in September so I can see first-hand some garments made using these techniques. I started C Percy Designs when I moved to a small coastal town in NSW, leaving behind family and friends in the eastern suburbs of Melbourne. I was at home with my 2 little boys and baby daughter. Looking back at that time I was very lonely. My online business provided me with a creative outlet, by selling on Made It and being active in the then Made It forum, (now it's a Facebook group), I was able to form online friendships that supported my creative efforts and eased my loneliness. 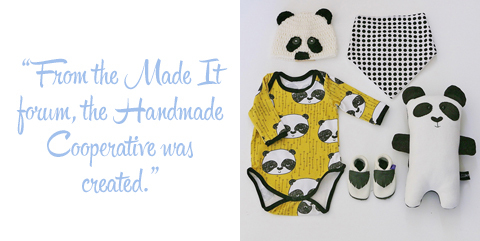 From the Made It forum, the Handmade Cooperative was created, a collection of handmaidens who made items for children. 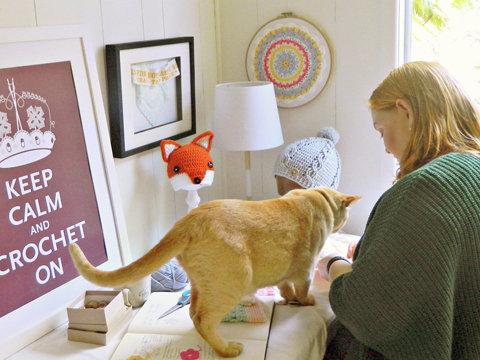 Through the Handmade Cooperative, I have made a lot of connections, received support and made some wonderful friendships. I love handmade products for so many reasons. I love its uniqueness, the quality, the self-expression and the fact that I'm supporting small businesses. For my own handmade products, I pride myself on making a totally Australian made product. I love the fact that I am able to support Australian woolgrowers by purchasing their superior quality wool. Nothing beats Australian Wool! Made It has been part of my business from the very start. My business focus has been making an Australian product for Australians. To me, selling on Made It, an Australian platform, was a given. Made It's community has provided me with promotional opportunities, support and connections to be able to successfully sell my beanies.